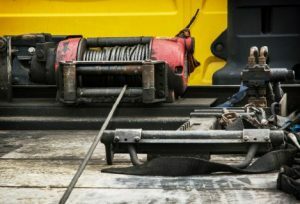 A big part of any 24-hour towing and recovery service company is the ability to perform the difficult task of winch outs. Because if your vehicle has been stranded by way of getting stuck in a ditch, stuck in muddy conditions, or a snow bank, then Amarillo Wrecker Service’s winch out service can save the day. Just because a company can perform winch outs doesn’t mean they should because the safety of your vehicle is of paramount importance and our professional 24-hour towing service technicians in Alanreed TX 79002 will get your vehicle out of the danger safely. We have the professional operators and equipment to do the job quickly and efficiently. To perform winch outs properly experience, training, and the right equipment is necessary. At Amarillo Wrecker Service, we employ only the best and brightest 24-hour towing and recovery service professionals, each licensed and certified to operate our state-of-the-art tow trucks. Each of our tow trucks is equipped with winches, cables, and hooks. And our employees know how to use them and how to manipulate your vehicle from its precarious (and stuck) situation without damaging it. So whether you’re stuck in the mud from a sudden rainstorm or flood, stuck in a snow bank, or stuck in a ditch, we can help. Getting stuck in a ditch and need a winch out (or some such calamity) is definitely an ‘uh-oh’ moment. But don’t worry, help is on the way. If you live in the Alanreed area, call Amarillo Wrecker Service at (806) 666-6965. We can handle any type of winch outs and help you get back on the road in a jiffy. When should you consider a winch out? 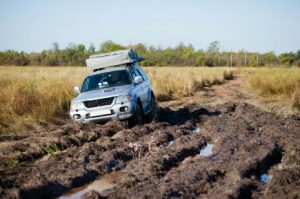 Everyone has at one point found themselves in a circumstance where they required roadside assistance, more specifically, needing pulled out of a ditch, stuck in the mud, or in a snow drift, or, a winch out. Getting your car stuck in a ditch, snow or an uneven pavement is not an occurrence that you can expect, but that does not stop it from happening. Winching is a common tow service that most companies provide for and have the capability to manage. It involves hooking a sturdy cable to the undercarriage of your car and using a motor-powered axle to pull the vehicle from the predicament. And while winching refers to the general pulling out action, there are different strategies that can be applied depending on the kind of car you own. Chances are that your car may not be well equipped to get out of the different situations, and this is when the different winching techniques come into play and are applied. While it is possible to winch yourself out of a precarious circumstance — with a friend’s help — it is better to engage a professional or a tow company in Alanreed to do it for you. Winch outs scenarios can be dangerous and can very quickly go wrong if the needed safety measures are not taken. Most winch out accidents and incidents in Alanreed TX happen because of ignorance. It is crucial that you keep in mind different kinds of surfaces require that an equivalent effort is applied to produce vehicle motion. A professional service can quickly determine the very best winching methods that will get you out of that tricky situation safely and with the least amount of effort. If you choose not to engage a professional, make sure that you are educated about the winching process. In addition to knowing the process, have a good understanding of the tools required for the process as this ensures safety. We are never in the know of when an accident in Alanreed is likely to happen, and it is always better to exercise caution. Do not make any presumptions about the process of winching. For instance, it is easy to neglect something as obvious as respooling a new cable under a load before attempting to pull. The winch is created to pull loads horizontally, do not try to raise loads vertically. For obvious reasons don’t stand too close to a loaded winch line. Do wear gloves when winching and avoid grabbing a winching cable with your bare hands. If you don’t you could quickly lose a finger. The heavier the glove, the better. Confirm that all the accessories of your winch kit are in place before you begin. While winching on your own can save you some money, it is not always a great idea to do it. You might find yourself stuck and in need of a good pull to get you out. Winches are advantageous and calling for professional services will save you time, money, and keep you and your vehicle safe. Alanreed is a city in Gray County, Texas with a population that is currently unknown. Alanreed, which uses the 806 area code, is located at 35.22675, -100.759 at an elevation of 3,236 feet. There are over 0 households and on average there are 0 people in each household with a median age of 0. The average income in the area is currently unknown. Amarillo Wrecker Service offers 24-hour towing service and no job is too big or small. Great rates, too. We’re here to help, call (806) 666-6965.